Huawei’s Honor brand continues to gain huge traction in India and its latest midranger looks set to compete well against the likes of Xiaomi, Vivo and Oppo. The phone has been priced attractively, at Rs 10,999 for 3GB RAM and 32GB storage variant, and Rs 14,999 for 4GB RAM with 64GB of storage. The phone will be available on Flipkart and Honor’s e-Store from January 21. 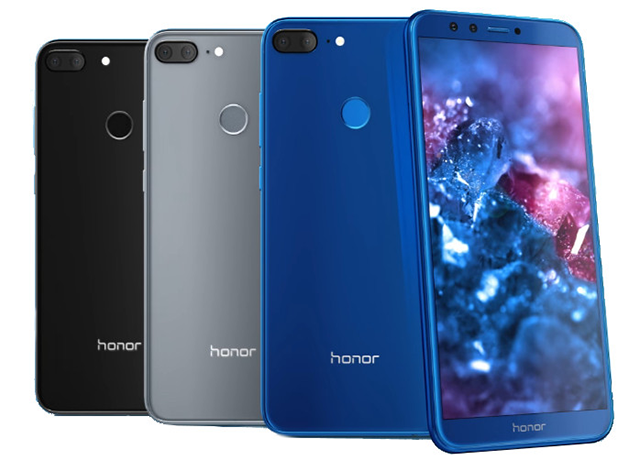 The Honor 9 Lite has a 5.65-inch full-HD+ with 1080 x 2160 pixel resolution; it’s an IPS display featuring the trendy 18:9 aspect ratio with smaller bezels, and a pixel density of 428ppi. Powered by Huawei’s in-house HiSilicon Kirin 659 SoC, which has four cores clocked at 2.36GHz, and four cores clocked at 1.7GHz, the Honor 9 Lite is no slouch, especially given the decent amount of RAM. As is expected these days, the fingerprint sensor is located on the back, but there’s no USB Type-C port, instead the Honor 9 Lite relies on the older Micro-USB port. The dual-SIM (Nano) Honor 9 Lite runs EMUI 8.0, based on Android Oreo. The stand-out feature of the Honor 9 Lite is the dual camera setup on front and back. The phone has a 13-megapixel primary camera plus a 2-megapixel secondary camera on both the back and the front. While the rear unit gets PDAF auto-focus, LED flash and a host of software features, the dual selfie cameras will also get ‘Portrait Mode’ or bokeh effect photography. This is one of the USPs of the phone according to Honor, along with the mirror-like finish on the back for style quotient. Both variants of the have expandable storage via microSD card (up to 256GB) in a hybrid dual-SIM configuration. The 9 Lite is powered by a 3000mAh battery, that Honor claims can deliver talk time of up to 20 hours on 3G, and a standby time of up to 24 days. There’s no support for quick or fast charging, which would have been a great addition at this price-point.